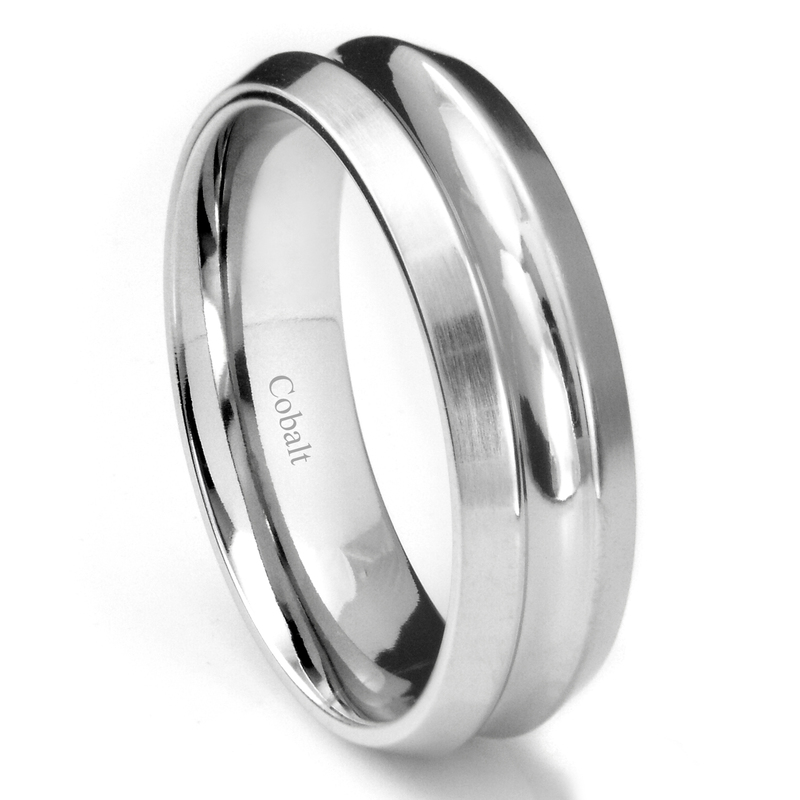 A rather unique men's wedding ring is our cobalt xf chrome 8mm concave wedding band with beveled edges. The wedding ring is manufactured of cobalt chrome with a high polish inner surface and satin finished beveled ring edges creating a concave appearance on the top surface of the wedding band. The styling of the wedding band is not something that can be found in the more traditional and much more expensive rings made of silver, gold, and platinum. Many men will not wear their expensive wedding bands to work or play as they are afraid it will get damaged, or lost. The great thing about our cobalt chrome rings is they are nearly impossible to damage and are very scratch resistant. And if they lose a wedding band with the great prices at TitaniumKay.com there is no problem affording a new wedding band. This great ring along with all of our other jewelry is backed by our 100% lifetime warranty, making it the perfect wedding band for your special day.